weezer was founded in los angeles on february 14, 1992 by rivers cuomo, jason cropper, matt sharp, and pat wilson. the band began writing music and playing local clubs. despite not having much success at first, the band pressed forward. after 16 months together, playing shows and recording demos in los angeles, dgc records (geffen) signed weezer. the band moved to new york to record at the famed electric lady studios under producer ric ocasek (of cars fame). during the recording of weezer, jason left the band to take care of his future wife, who was pregnant with their first child. jason was replaced by brian bell, a then bassist from a band called carnival art. weezer's self-titled debut album was released on May 10, 1994, and was a hit from the start. 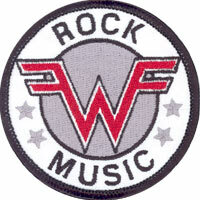 they released three singles from weezer: "undone - the sweater song", "buddy holly", and "say it ain't so". "buddy holly" won several mtv awards that year, and weezer eventually went double-platinum. 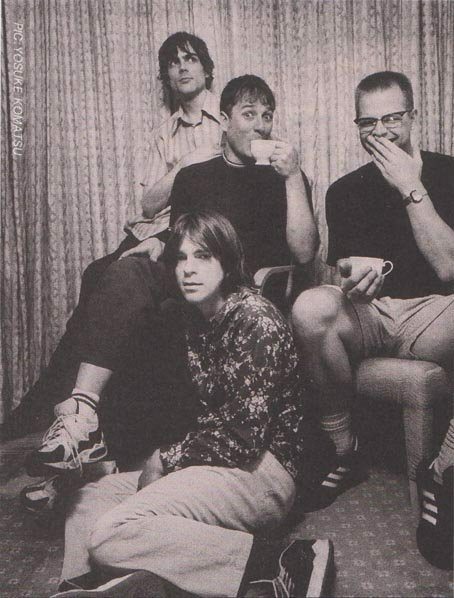 after several tours around the u.s. and the world, the band settled back in; rivers went to school at harvard, matt and pat worked on a new band named the rentals, and brian resumed work with a former band of his, the space twins. in the early winter of 1995 and the summer of 1996, weezer once again commenced into the studio, but this time they were to produce the album themselves. on september 24th 1996, weezer's much-awaited second lp, entitled pinkerton, was released. it is quite the opposite of weezer; the guitars are more gruff, the lyrics have a deeper meaning, and the band's talent and style has matured considerably. weezer released three songs from pinkerton: "el scorcho", "the good life", and "pink triangle". pinkerton went gold in record sales and has been a steady seller since. in the band downtime after pinkerton, matt sharp has left the bassist position (under good terms) to pusue his ever more notable band, the rentals. filling matt's place is mikey welsh, of boston, and formerly of juliana hatfield's band. during 1998 rivers & mikey played a few shows together in boston (dubbed "the rivers cuomo band"). the following spring rivers and mikey joined brian and pat in los angeles and had on/off rehearsal sessions over the next couple of years. rivers devoted some time to "homie" which released one song, brian released a couple of records with his spacetwins, and pat and mikey toured with the special goodness. fast forward to spring 2000. after playing unannounced shows under secret names, in addition to more frequent rehearsals, weezer booked dates on that summer's warped tour, and subsequently a nationwide club tour. much to the band's surprise the dates sold out instantly. juiced by an overwhelming fan response and a wealth of new material, weezer was back. following another sold-out tour in the fall the band continued writing and practicing new material in los angeles into 2001. a christmas song e.p. was distributed to fans and radio stations and shortly before the new year weezer began recording their 3rd effort, dubbed "the green album" in los angeles, again with producer ric ocasek. with the album finished the band got back on the road for much of the rest of 2001. Mid summer saw another line-up change, with Mikey replaced by bass heavyweight Scott Shriner. The band continued their relentless touring through 2001, finally pausing to record their 4th album, Maladroit, which was released in May 2002. The band continued touring till september, when they took a break and intermitently worked on new tunes for a 5th album.